As the USD is gaining strength due to the employment report the British pound is getting weak as the result. Now the investors are waiting for the Bank of England meeting regarding the bank rates. Since yesterday the pair has been moving with bullish bias but has not reached the neutral zone yet. 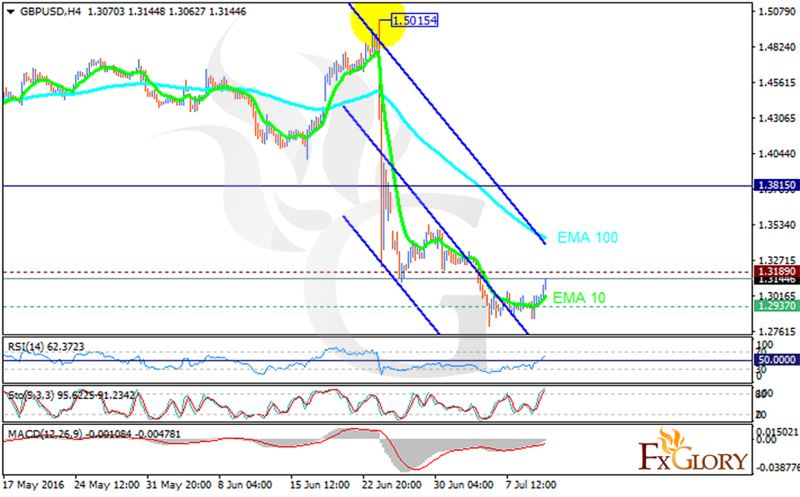 The support rests at 1.29370 with resistance at 1.31890 which both lines are below the monthly pivot point at 1.38150. The EMA of 10 is under the EMA of 100 but it is moving up. The RSI has crossed the 50 level rising up, the MACD indicator is in neutral territory and the Stochastic has reached its highest range so there might be pullbacks very soon. There will be strong resistance around the 1.3300 area however in terms of the price decline the target would be 1.2700.